Happy clients, a positive work environment, productive staff and an efficient organization are some of the advantages that you get to lay your hands on when you have well-trained employees on board. 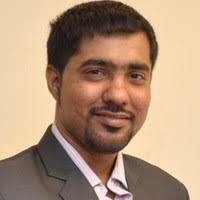 Having said this, when you have a large number of employees working in your organization, the traditional method of training can be quite difficult at times. Here is where a Learning Management System comes to the rescue. With an LMS you get to save your cost, energy, and money in training your employees. It is an undeniable fact that the needs and preferences of people change with time. To keep up with these changing requirements, an LMS too has wriggled its way to innovation. A Mobile-Friendly LMS has successfully paved its way to the tiny pockets of millennial who prefer working in an idealistic workplace. When it comes to employees, a mobile-friendly LMS has more benefits than the traditional training method. So, what are these benefits? Let me walk you through a few ways in which your organization can benefit from a mobile-friendly LMS. Read on to find out. The different ways in which your organization can profoundly benefit from a mobile-friendly Learning Management System are mentioned below. Unlike the traditional Training Sessions, employees need not mandate their presence in order to gain the necessary knowledge. All they have to do is unlock their respective smartphones, switch on their internet connection and access their training content. It is this easy for the employees to attend the sessions. 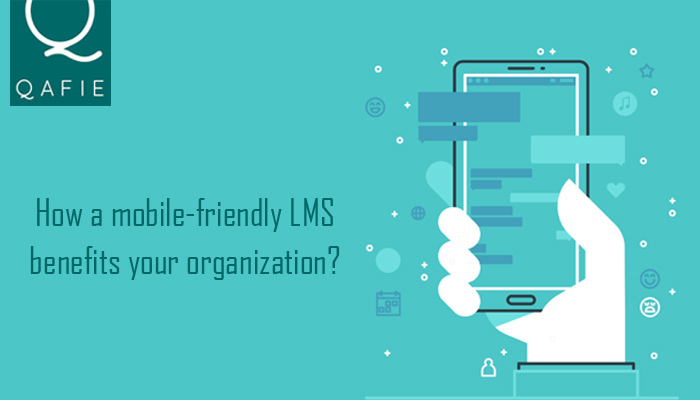 A mobile-friendly LMS will indeed prove to be a boon for the employees as they need not worry about missing out on important training. When the sessions could be accessed on the smartphone devices carried by the employees they are free from the burden of mandating their presence. Gone are the days where training sessions required the employees to note down important points and make themselves available for the training on the prescribed time and date. When you have training content that could be accessed anytime, anywhere and on any device, you make way to a stress-free training environment. The employees can learn at their own pace and rerun the session until and unless they understand the entire concept. A well-trained employee is one of the strongest pillars that an organization could ever lay their hands on. With content being available on the mobile phones of the employees, it will become easy from them to access content as and when the need arises. This immensely contributes towards improving the employee's performance at work. As the content is presented in bits and pieces, it becomes convenient to grasp and retain the information presented to the employees. Moreover, it also becomes easy to get updates and notifications, wherein the the sessions could be kept interactive and convincing in nature. The power of anytime and anywhere will make it easy to retain the knowledge that has been presented in an innovative manner. An organization will be privileged to have an enhanced ROI on the Learning Management System that they have invested upon. A mobile-friendly LMS makes it convenient for the employees to attend the training sessions. This consequently makes way for a well-trained employee working in your organization. More the number of trained employees, higher the chances of the company's growth, which in short accelerates your ROI. Above-mentioned are some of the ways in which a mobile responsive Learning Management System will benefit your organization. Tedious training sessions, squeezing in time to attend the training, etc. are some of the limitations that you get to evade with the Mobile-Friendly LMS. In addition to this, you will also get to boost the productivity quotient of your organization as you will have employees who are all well trained in their respective fields.